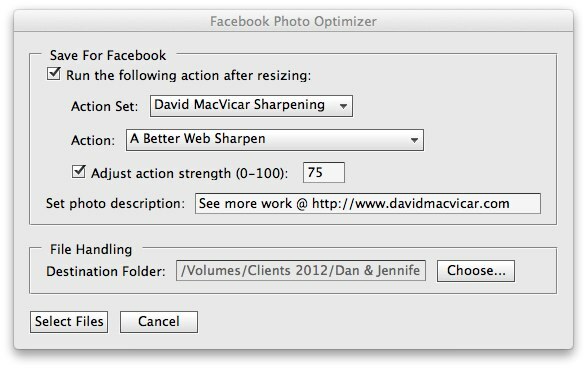 Facebook Photo Optimizer (herein called FPO!) is our free workflow utility designed to get your images looking perfect for direct upload to Facebook. Did you know that FPO has a killer feature that can help maximize your image’s social impact? We built in the ability to set the description/caption of all the images you resize for Facebook, so when your clients upload their photos, the text of your choice shows up underneath automatically! Lets see how it works and why you want to use this feature. You can optimize every image for Facebook with a link back to your blog or main website (make sure all links begin with http://). When your client receives their images and they want to share the images with all of their network, your links will automatically be there and accessible to EVERYONE. Win. You can include specific copyright information and when you upload to Facebook it will appear on each image. There you have it! 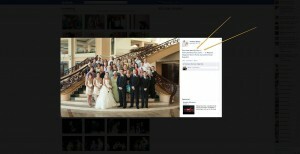 A killer feature available in the FREE Facebook Photo Optimizer. 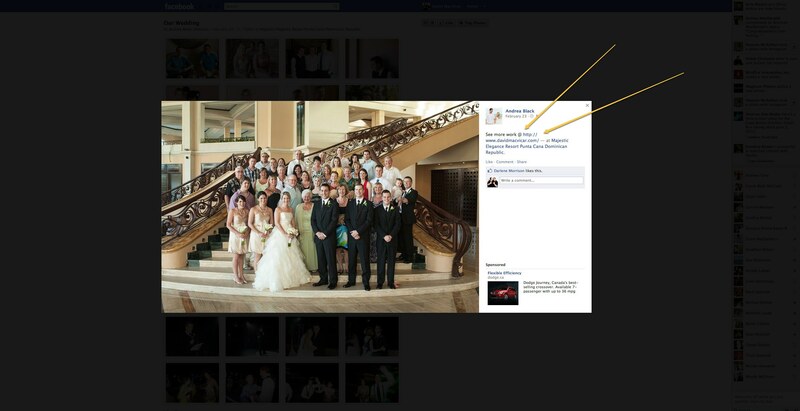 Grab a free copy today by heading over to the Facebook Photo Optimizer page.